This agreement describes the legal relationship between you (an individual artist, or, in the case where you are involved with co-writers) and SongDoor, owner and publisher of the site located at songdoor.com. Please read this agreement carefully. By clicking the "I AGREE" button below, you indicate that you agree to be bound by all of the terms and conditions of this agreement. Further, by submitting music or other content to us, you indicate that you agree to be bound by this agreement. 1. Age of Contestant. You stipulate that you are 16 years of age or older. 2. License Grant. You hereby grant to us, and by the act of delivering to us sound recordings, musical works and/or other material (such as photos, song lyrics, etc.) ("Material") grant to us, a non-exclusive, worldwide, royalty-free license to: (a) reproduce, distribute, publicly display, modify as necessary and digitally perform the Material in whole or in part (including the right to create compilations on the website which include your songs); (b) create and use samples of the Material solely for the purpose of demonstrating or promoting our or your products or services; and (c) use the name and likeness of any individuals represented in the Material in connection with your Material without monetary compensation, aside from awards you may win. 3. Ownership. You retain complete ownership of the copyrights and all other rights in your songs, subject to the non-exclusive rights granted to us under this Agreement. 4. Representations and Warranties. You represent and warrant that (a) the Material is your and/or you and your co-writers’ work, and contains no sampled material; (b) you have full right and power to enter into and perform this agreement, and have secured all third-party consents necessary to enter into this agreement; (c) the Material does not and will not infringe on any third party's copyright, patent, trademark, trade secrets, proprietary rights of publicity or privacy, or other legal rights (this means no cover songs); (d) the Material does not and will not violate any law, statute, ordinance or regulation; (e) the Material is not and will not be defamatory or libelous; and (f) all factual assertions that you have made and will make to us are true and complete. You agree to indemnify and hold SongDoor, our affiliates, employees, and agents, and our users harmless from any and all damages and costs, including reasonable attorney's fees, arising out of or related to your breach of the representations and warranties described in this section. You agree to execute and deliver documents to us, upon reasonable request, that evidence or effectuate our rights under this agreement. 5. Disclaimer. We provide our products and services related to this agreement "AS IS" without warranty of any kind. 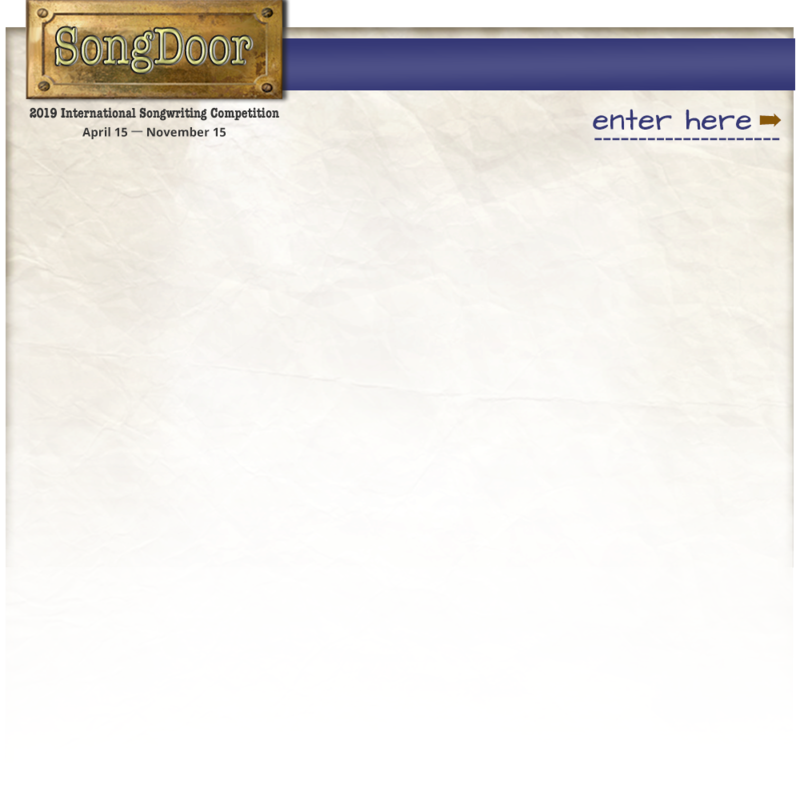 SongDoor has no responsibility for any use of any material by any user of songdoor.com. 6. Waiver of Certain Damages. EXCEPT FOR A BREACH OF SECTION 4, NEITHER YOU NOR WE WILL BE LIABLE FOR ANY CONSEQUENTIAL, INDIRECT, EXEMPLARY, SPECIAL OR INCIDENTAL DAMAGES ARISING FROM OR RELATING TO THIS AGREEMENT. 7. Termination. You may terminate this agreement at any time by giving us notice via email at: info@songdoor.com. We may terminate this agreement at any time by so notifying you. Upon termination, all of our license rights terminate. Sections 4 and 6 above survive termination. 8. Miscellaneous. This agreement will be governed by Virginia laws and we both irrevocably submit to the exclusive jurisdiction of VA courts.